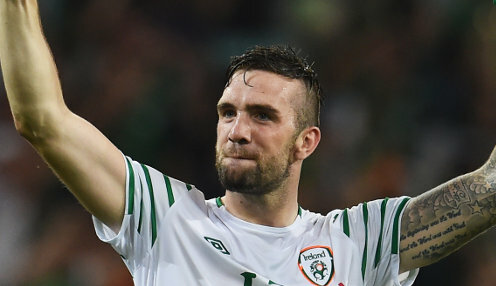 Shane Duffy says the Republic of Ireland players, and not manager Martin O'Neill and his assistant Roy Keane, have to accept blame for poor recent results. The Irish were beaten 1-0 by Wales in Dublin on Tuesday evening, ensuring they've managed to take only one point from three games in the UEFA Nations League. A heavy 4-1 loss in Cardiff against Wales was followed by Saturday's listless stalemate with Denmark at the Aviva Stadium. Relegation to League C of the Nations League looks likely and the management team are under intense scrutiny following the failure to qualify for the 2018 World Cup, but Brighton defender Duffy says O'Neill and Keane are not to blame. It's up to the players to take responsibility and put it right. "I wouldn't blame them," the centre-back told RTE Sport. "It's us out there. It's not them out there. "It's us playing and players' responsibility to go out there and perform. They can tell us what to do, it's up to us to go out there. "We've obviously let them down. It's up to the players to take responsibility and put it right." Ireland have been on a downward curve since last November when they lost the second leg of their World Cup playoff 5-1 against Denmark in Dublin. They'll be travelling to face the Danes away from home next and Duffy says they've got to believe they can get the right result. "We're in a little rut at the moment where we're not getting the results and we've just to pick ourselves up again," he added. "You've got to have that attitude of never say die and that's what we have. "We've got to believe we can go out to Denmark and win and results go our way." Duffy's Brighton are 14/5 to win at Newcastle on Saturday. The Magpies are 6/5 while the draw is 9/4.